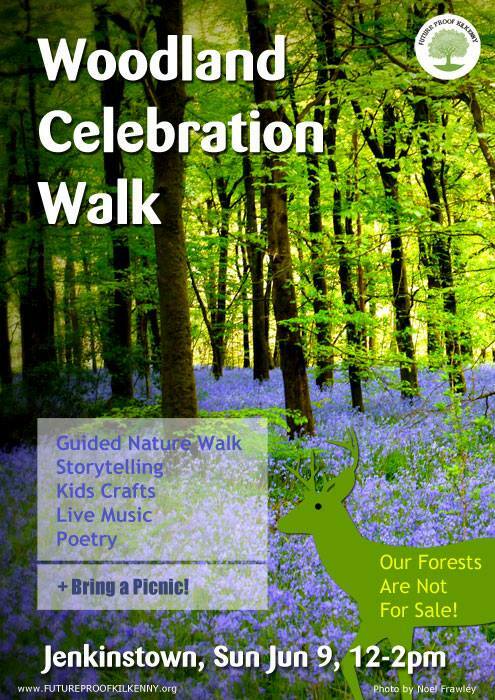 I was delighted to be asked to FutureProof Kilkenny‘s Woodland walk last Sunday at Coillte Jenkinstown woodland (walks had been organised all across Ireland to keep the pressure on the Government not to sell Irish public forest harvesting rights). 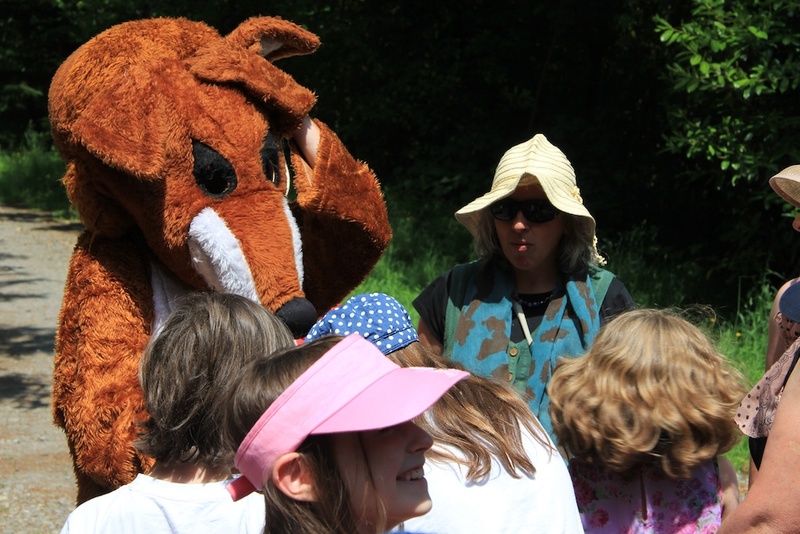 I said a few words about Green Forest policy but really the day was about the forests; the nature, the people, the great picnic, music, and forest story-telling (not to mention the big fox of Jenkinstown). Best day of summer so far. Filmmaker Daragh Byrne created a terrific video of the day too. Other images below – Holly thought the walk and picnic was brilliant, again lots of dogs came out to protest too. Thanks to Paul Brennan and Mick Greene for organising such a terrific day.